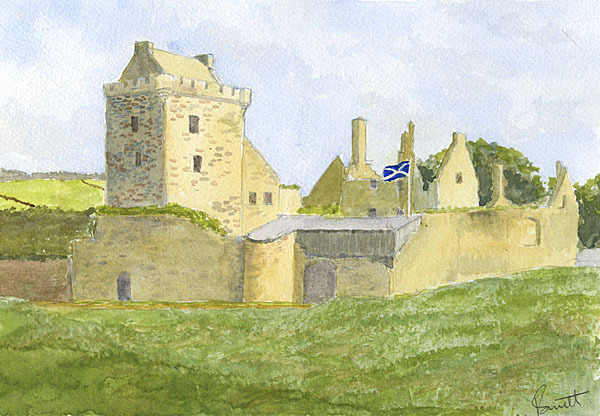 Balgonie castle is located between Coaltown of Balgonie and Milton of Balgonie in Fife. This page exists principally as an excuse to show off the lovely paintings which have been made for us and are now hanging in our house. 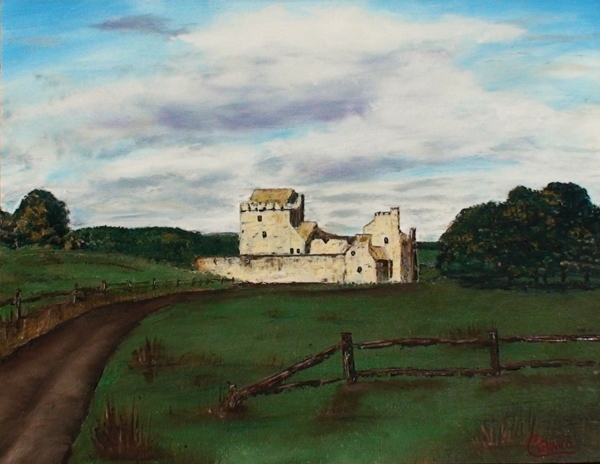 The close-up views of the castle from the West are by Robert's Father and the wider landscape view from the South-East is by Kimberly's Brother. 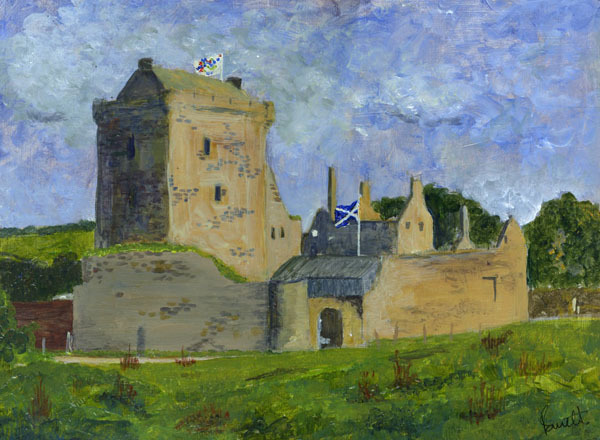 Balgonie Castle's official home page. Wikipedia also has a page about the castle. 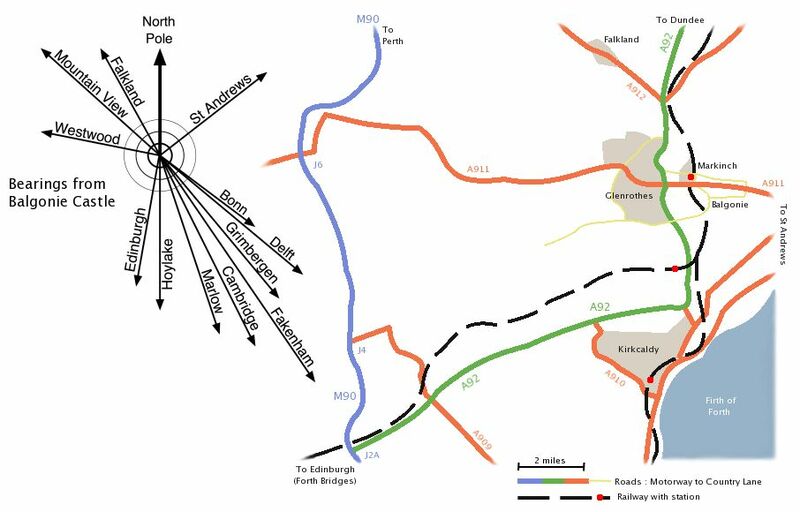 Robert's map of where to find Balgonie Castle. 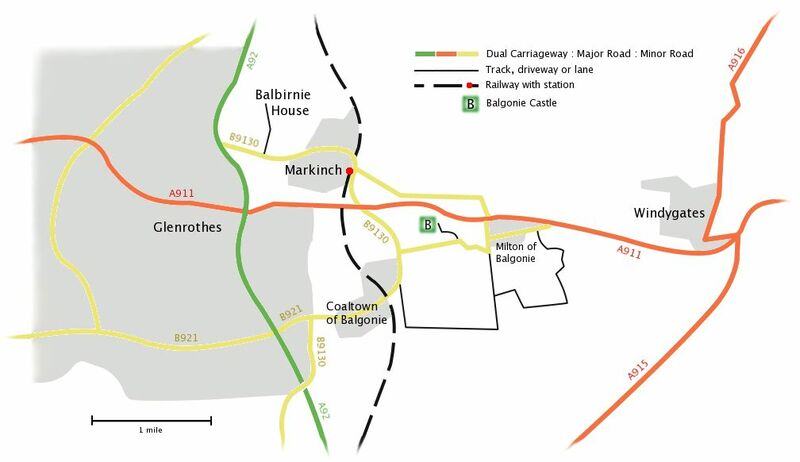 Wider area map showing Balgonie in the context of Fife.